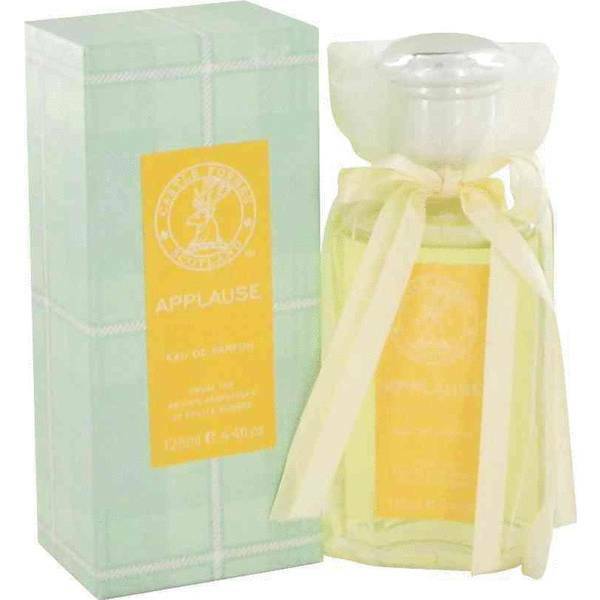 Applause Perfume by Castle Forbes, Released in 1996, Applause is an eau de parfume with sophistication and longevity . The top notes of melon and black currant offer a fresh accord with a hint of tang. The seductive white floral heart of the fragrance relies on high quality essential oils for their depth and sillage. The woody base notes are enduring. The fragrance is long-lasting, yet softer than classic perfumes. This makes it appropriate for the office and casual wear. The 600-year-old Castle Read More Read More Forbes in Scotland is the headquarters of this small, exclusive perfumery. Jinny Forbes is the founder who turned her love of fragrance into a thriving business. Andrew French is the noted nose behind the brand’s collection. There are 15 scents in the fragrance collection which began in 1996. Each is packaged in a glass bottle with the traditional Forbes tartan. Today, product lines include shaving creams, pre and aftershaves for men as well as soaps, linen sprays and Castle themed gifts. All products are original, authentic name brands. We do not sell knockoffs or imitations. Great price, legitimate product, good service. Difficulty tracking order initially, but when issue was clarified, information given was accurate and reliable. Excellent experience, this being first time ordering fragrance on-line.